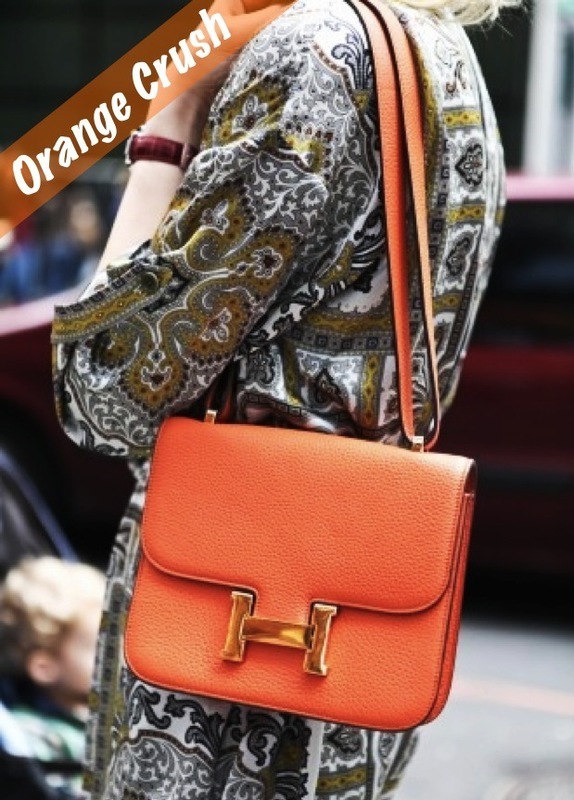 First things first - How gorgeous is this orange Hermes bag?! As soon as I saw it on Pinterest I was smitten. As you may remember, in March I was mint handbag obsessed. But now, I'm brightening things up and crushing orange bags of all styles. Turns out I'm not the only one accessorizing with citrus hues - check out these style setters. In case you haven't been keeping up with celebrity style snaps on FabSugar or People StyleWatch, this season celebrities are all about orange handbags! Miranda Kerr's stunning orange Alexander McQueen Heroine bag is a fashion dream come true. If you don't have a supermodel budget try this structured $50 option. If you like the functionality of a crossbody bag like Jessica Alba's sleek Ralph Lauren, check out a look for less here. And if you need a carryall like Alessandra Ambrosia and Jessica Beil, tote tangerine in style with this on sale Michael Kors or Sam Edelman tote. From the apricot colored Botkier satchel to the tangerine fringe Milly clutch, sweet orange handbags add the perfect pop to a spring outfit. These are just a few of my favorites. And finally I'm going to part with a tough question. If you could only buy one, would you pick an orange or mint handbag to add to your warm weather repertoire? I used to have an orange bag, but I recently sold it to a consignment store since I rarely wore it! I do however have a few orange pieces of jewelry and a lipstick! 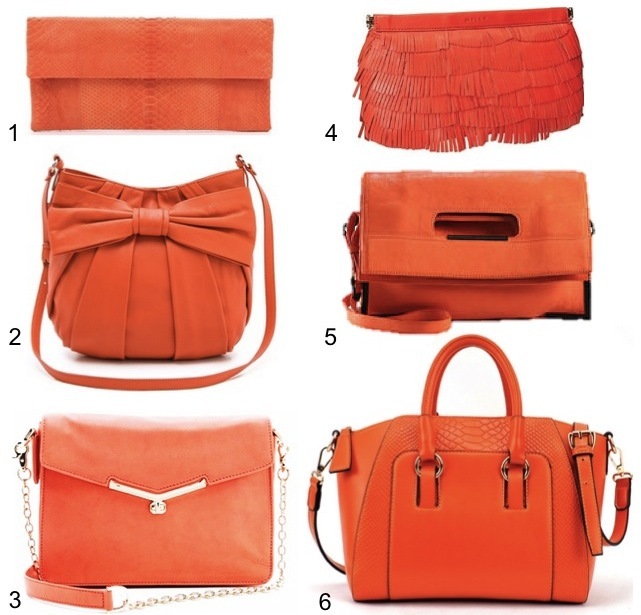 I don't have much orange in my wardrobe, but I love the idea of a bright orange bag! Love number 6. I love #6 too and it is such a good price! I totally understand your "orange" obsession! I'm in love with this color as well! It is such a chic color, and you know being Dutch I am biased! love these bags! orange is great for summer! I love this trend as well! Orange is just such a pretty color for the summer :) I bought an orange cross-body bag and have been getting so much wear out of it! I think I would pick orange over mint.....it's just so perfect for my more neutral outfits! The Hermes purse is phenom!